🌸 … is one of the oldest forms of treatment within Traditional Chinese Medicine. 🌸 It utilizes Acupuncture points and channels to ease the flow of Qì (氣) and blood through the body. 🌸 It also helps render treatment to young children and those who dislike Acupuncture needles. Na, or tuina, is a therapeutic form of massage and has been used in China for more than 5,000 years. Defined as “the ancient healing art of fingers and strength,” tui na (pronounced “twee nah”) has been gaining international attention for its safe and effective treatment for a wide variety of conditions. The primary purpose of Western massage is to relieve tense muscles and promote an overall sense of relaxation. In contrast, Eastern massage takes a more holistic approach, balancing the body and all of its parts, including the nervous and digestive systems. Eastern massage, just like acupuncture, begins with a consultation; for the purpose of detecting energetic imbalances and determining a diagnosis. As with all Eastern medicine, the ultimate goal of Eastern massage is to find the root cause of any issues rather than just treating symptoms, such as back pain or tightness. Of all the types of Eastern massage, Tui Na is probably the most similar to Western massage in that if focuses on the stretching and kneading of muscles. 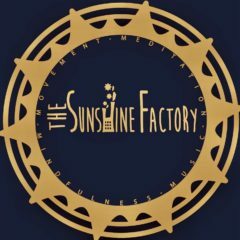 However, since the goal of Chinese Medicine is to treat and improve the health of the entire body; this massage is generally used in conjunction with acupuncture, cupping therapy or other Eastern Medical techniques. Tui na makes use of various hand techniques in combination with acupuncture and other manipulation techniques. To enhance the healing process, the practitioner may recommend the use of Chinese herbs. Many of the techniques used in this massage resemble that of a western massage like gliding, kneading, rubbing, vibration, tapping, friction, pulling, rolling, pressing and shaking. 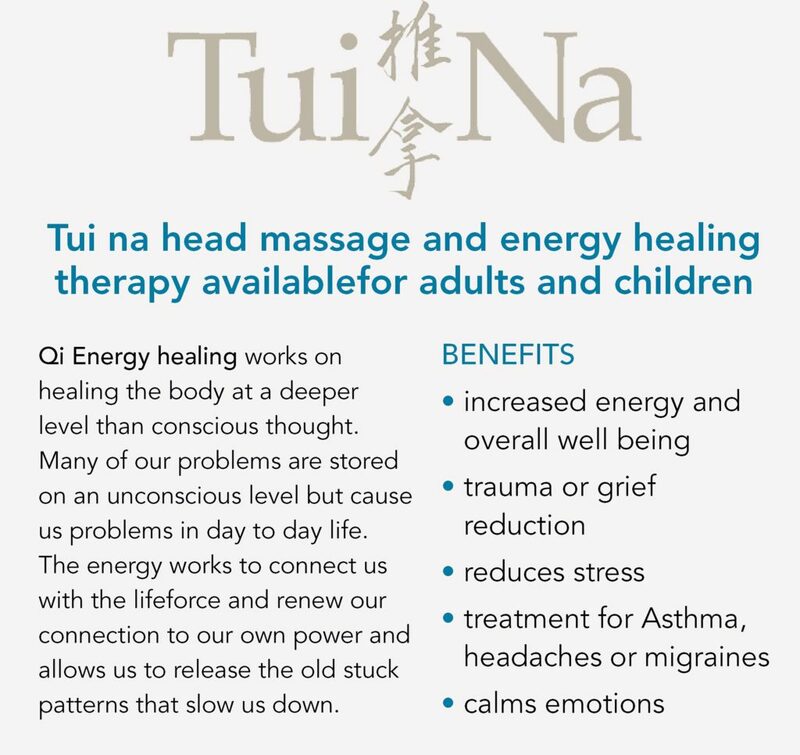 In tui na massage, the muscles and tendons are massaged with the help of hands, and an acupressure technique is applied to directly affect the flow of qi at different acupressure points of the body, thus facilitating the healing process. It removes the blockages and keeps the energy moving through the meridians as well as the muscles. 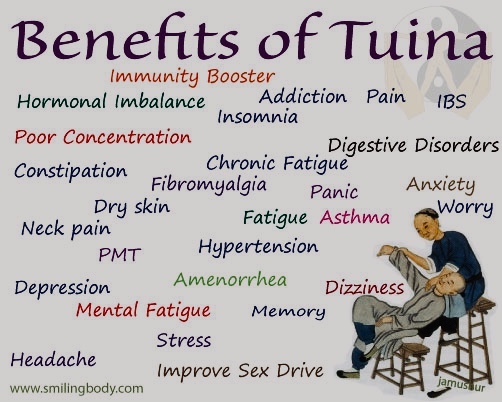 🌸 The main benefit of tui na massage is that it focuses on a specific problem, whether it is an acute or a chronic pain associated with the joints, muscles or a skeletal system. 🌸 It is relaxing as well as energizing. 🌸 Very beneficial in reducing pain; neck, shoulders, hips, back, arms, thighs, legs and ankles – pretty much anywhere! 🌸 Very effective therapy for arthritis pain, sciatica and muscle spasms. 🌸 People often experience reduction in symptoms related to disorders like; insomnia, constipation, headaches and other disorders related to the digestive, respiratory and reproductive systems. The greatest advantage of tui na is that it focuses on maintaining overall balance with both physical and mental health. Any one who wants to avoid the side effects of drugs or a chemical based treatment can adopt this effective massage technique to alleviate their pain. Tui na massage therapy is now becoming a more common therapy method due to its focus on specific problems rather than providing a general treatment.